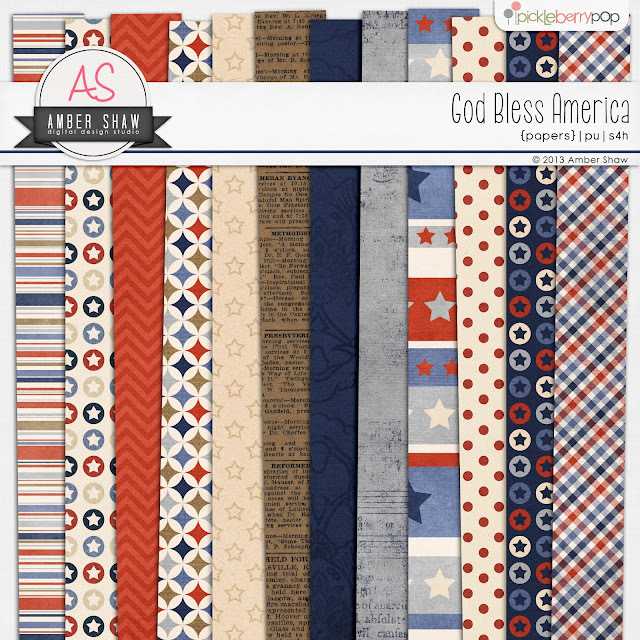 designsbyambershaw: New Release...."God Bless America"
Life, liberty and the pursuit of happiness! 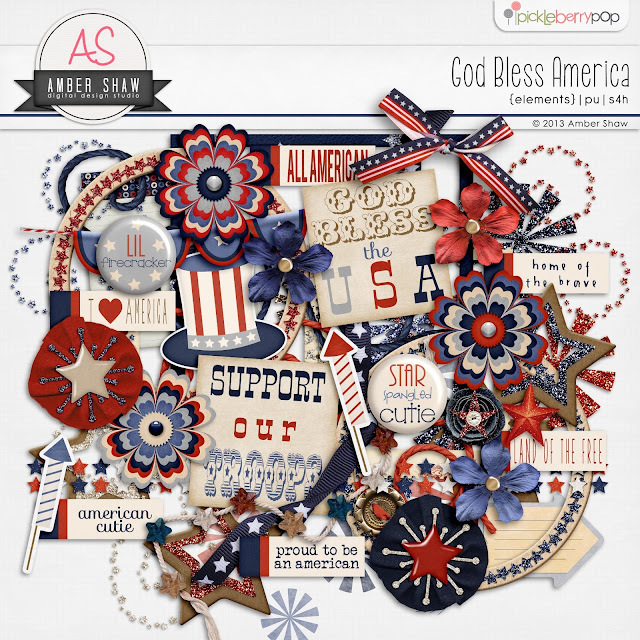 Here's a kit to celebrate everything we Americans love about our beautiful country. 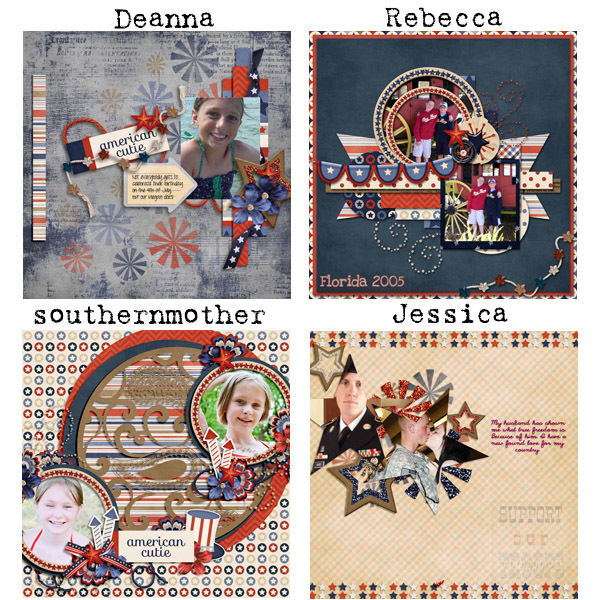 The colors are classically patriotic and the elements to make your pages sing include everything from stars and frames to fireworks, an Uncle Sam hat and word art. Remember that for a limited time, each of these packs is only $1 each. Mix and match for the perfect mega-sized kit. Click here (or on any of the previews above) to go to Amber's store and start shopping. 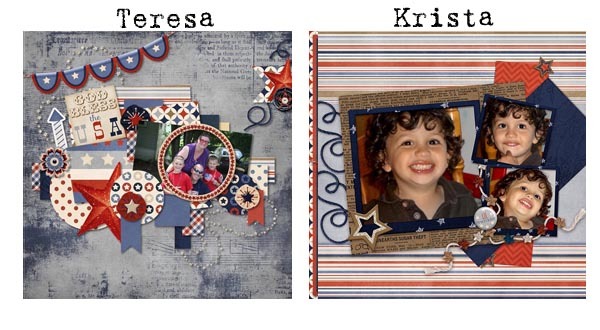 The team had a wonderful time creating layouts for your inspiration. 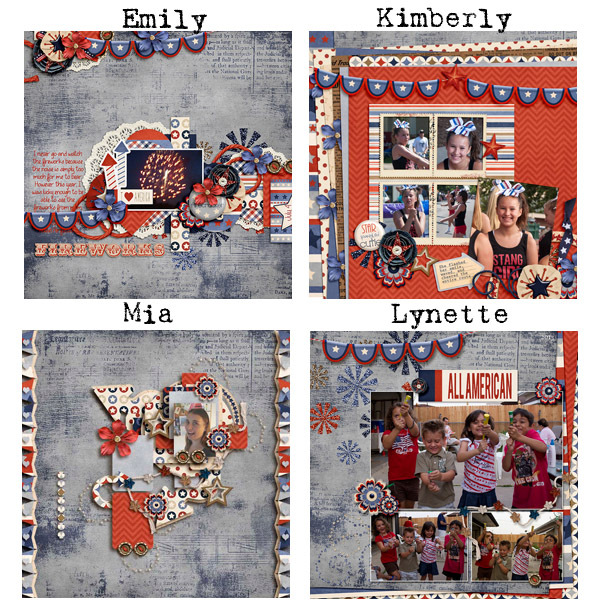 Before you leave to go shopping for this great kit, take a moment to download the freebie created by CT Member Rebecca. 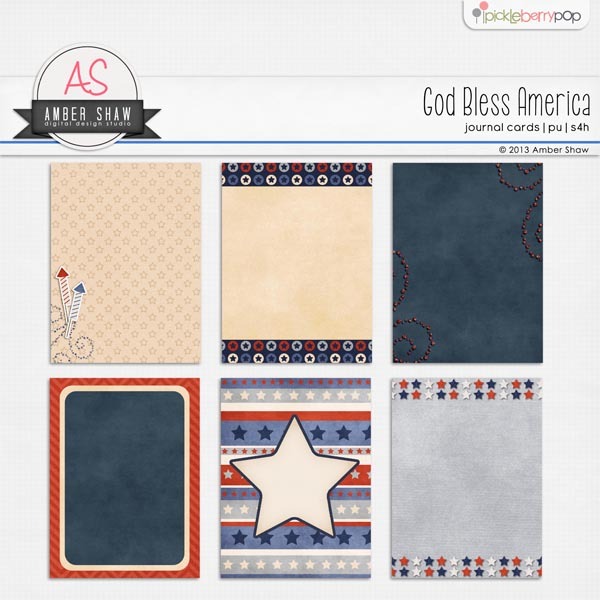 It's a beautiful quickpage to make your scrapping easy. Click on the preview to download.